DFO is responsive to amino acids present in body proteins. Research has shown that DFO develops 2.5 to 3 times more latent prints on paper items than the Ninhydrin process alone. If used in sequence with Ninhydrin, use DFO first. Dip or spray paper documents and allow them to dry. Heat the papers using an oven or dry iron for 10-20 minutes. Examine with a Forensic Light Source and photograph any resulting latent prints. 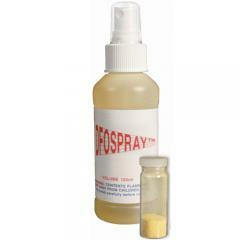 - Shelf life of stock solution and pump spray: 6-12 months.